Q Tell us about your work. What has been your most enjoyable project so far? A. I currently work as an independent graphic designer, and have a keen interest in design for fashion, lifestyle and music. In the past I’ve worked as an art director in various ad agencies and then for a few design studios. My most enjoyable project so far would have to be “Something cool everyday,” a personal project where I created and posted a graphic art piece every single day of the year. It became a creative challenge to create something daily in a very short span of time. You have to think on your feet. I experimented illustration, typography, photography, and mixed media. I was able to have an exhibition of the 365 pieces at the Alliance Francaise Gallery in Delhi. 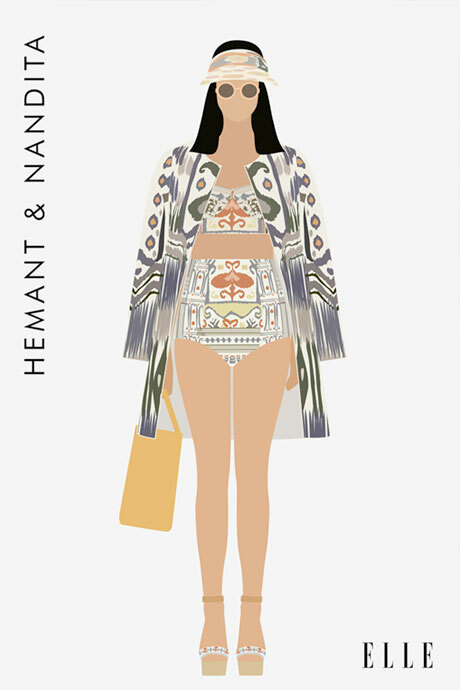 Q We love your graphics on fashion – for Elle, and on Sabyasachi, Bodice, and other collections. How did you start doing that? A. I started doing fashion illustrations while working on “Something cool everyday,” actually. I would look for daily inspiration to create something each day, and I was following Lakme Fashion Week (SS ’14) at the time. So I decided to illustrate my favourite looks. That’s how I ended up doing my first series of fashion illustrations, after which I was commissioned by Elle to illustrate certain looks from Wills India Fashion Week. Q Where did your interest in fashion begin? Does it relate to your work often? A. I’m not sure when, exactly, but sometime while I was working at Grandmother India, a design studio in Mumbai.I got to work on a few fashion labels while I was there. Then, while I was at Rediffusion Design, I got the opportunity to work on the Taj Calendar 2011. 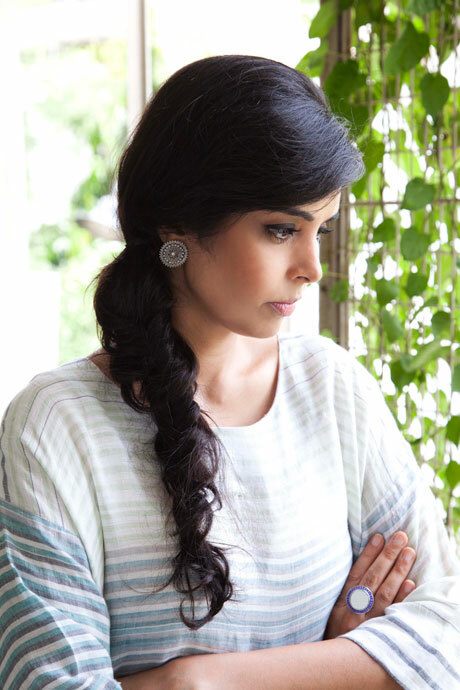 I conceptualised and designed it along with my creative director, Ashutosh Karkhanis. We worked with 12 different fashion designers on this project, including Rohit Bal, Tarun Tahiliani, Sabyasachi, and Anamika Khanna. Each designer contributed to the visual for one month of the year, inspired by one Taj property. This was a super fun project for me, and that’s when I knew I wanted to pursue fashion communication and design in some way. Q What brand would you love to be involved with? Why? A. I would love to work with a brand like Colette, a concept store in Paris. Kenzo has its own magazine, which I would love to contribute to someday. Their communication is also very art and design-driven, and fairly experimental. Q How would you describe your style? Do you wear any designers regularly? A. My style currently is all about comfort and minimalism. I prefer slightly oversized silhouettes. Some brands/designers I wear regularly are Zara, Bhane, and Bodice. Some labels I love and would like to own (but don’t yet) are Lovebirds, Rachel Comey, and The Row. Q What was your favourite among what you tried on today? A. My favourite piece was the Eka dress. Very much up my alley.